How do you know when writing is bad? What can you do to make sure your writing is good? 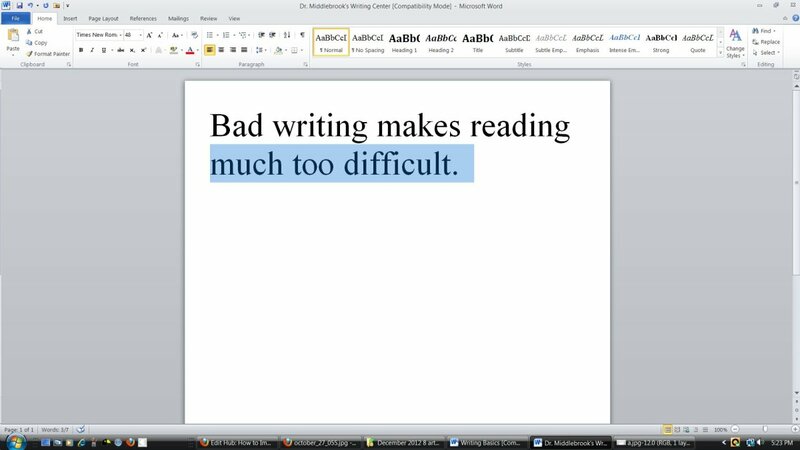 As we begin to think about "good" versus "bad" writing, it is probably much simpler to describe what makes bad writing bad, than it is to describe what makes good writing good. When writing is bad, it is very difficult to read. Even if a writer has selected a topic that is of interest to readers, if the writing is bad/poor, even the most enticing topic won’t be enough to keep readers reading. Why? Because bad writing makes reading much too difficult. To keep people reading what you've written, your writing should be pleasurable and painless—and not a laborious, frustrating chore. 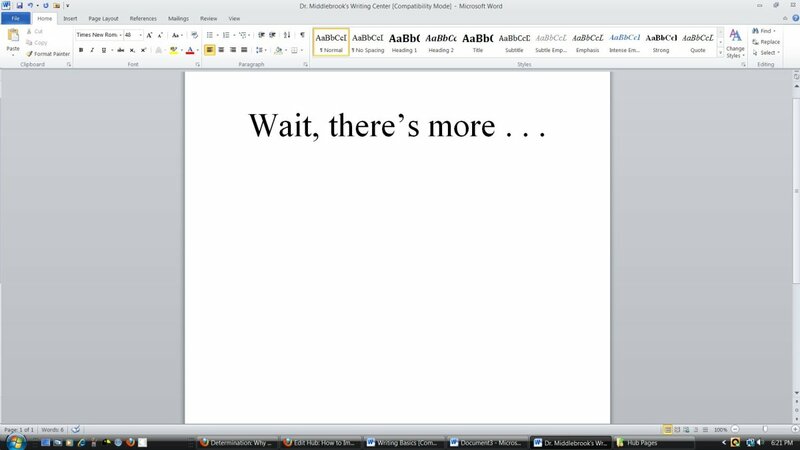 No one wants to read writing that is unorganized, illogical, uses poor grammar, poor sentence structure, misspelled or misused words, and/or contains a lot of other writing errors. Therefore, I guess you could say that good writing, in many ways, is the exact opposite of bad writing. 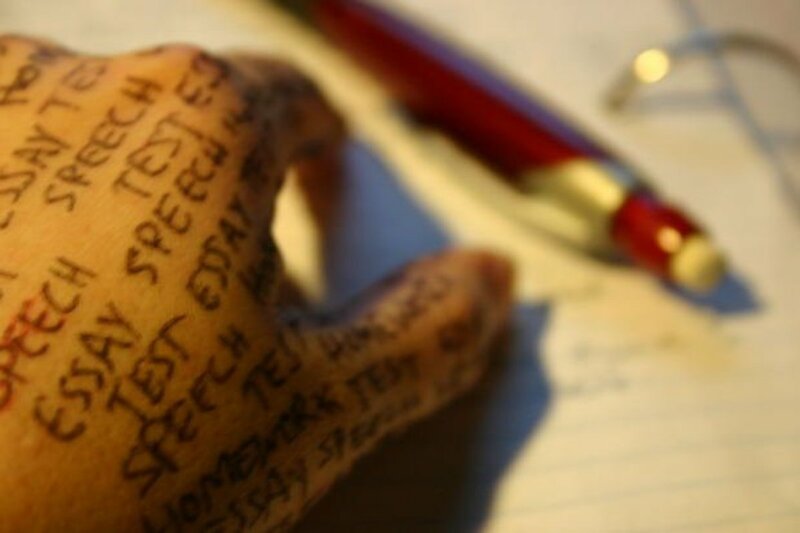 What Do You Need To Know To Improve Your Writing Skills? I studied writing in college, earning my undergraduate degree (my B. S.) in journalism/mass communications. I completed two-thirds of a master’s degree in English before deciding to pursue a master’s in advertising, instead. Then, many years later (while working as a college professor teaching writing-based courses in advertising at a major university), I researched and wrote my first book—my doctoral dissertation, while completing my PhD in business administration and management. Because I've worked, professionally, as a journalist/reporter/author/writer, editor, and proofreader, as a writer I've gained both work experience and perspective. Many years of work experience helped me understand the importance of keeping my writing skills sharpened. But gaining perspective on writing is what helped to refine my appreciation of the writing craft—the ability to write well. Can Anyone Become a Better Writer? Anyone who can write can become a better writer. With this thought in mind, sometimes the best way to improve on doing something is to go back to the beginning. Going back to the basics, for a writer, means reconnecting with the foundation of why or how writing is done. This Hub article offers you a chance to begin reconnecting with your foundation in order to prepare yourself for learning or re-learning the basics of writing. If you'd like to become a better writer, there's no better time than now to begin working hard to understand what you’ve been doing wrong or improperly, while discovering how to improve your skills. If learning to communicate properly and effectively using the American English language is your goal, then this Hub is going to equip you with the foundation of knowledge you need to begin preparing to become a better, more confident writer. Basic Elements of "Good Writing"
Considers ideas aimed at reader interest. Knowing your readers well is crucial to finding ideas that will be of interest to them. No matter what you are writing, your writing must contain ideas capable of holding your readers’ interest. Good writers do their research to discover ideas that are of interest to their intended readers. Organizes thoughts and presents them in a logical, effective manner. A good writer will organize how ideas are presented in order to help readers move logically from one thought/topic/subject area, to the next. 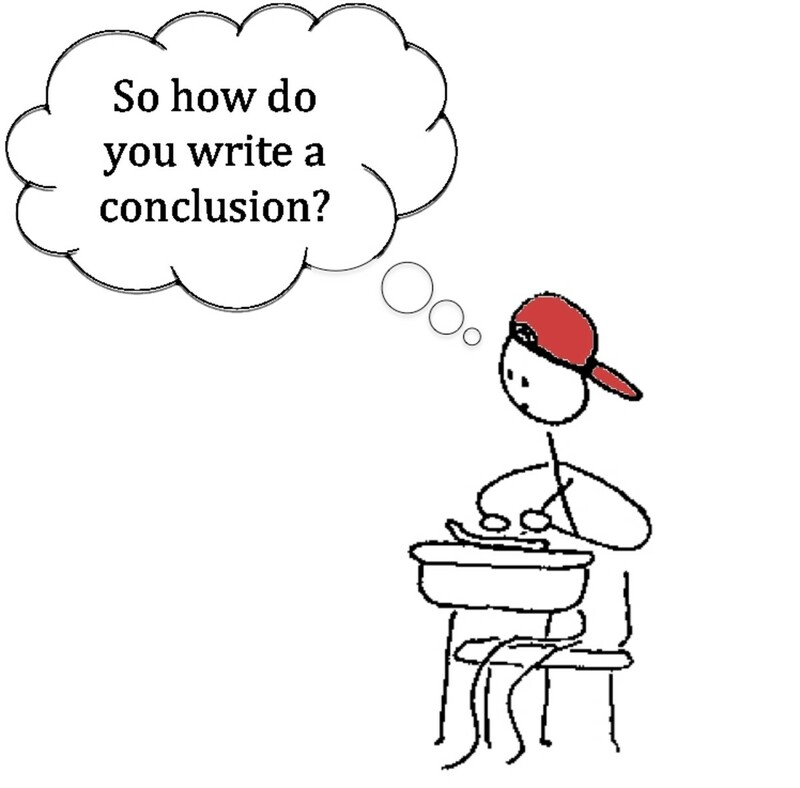 After explaining or completing one thought or idea, the writer will provide smooth transition—a way of preparing the reader for the next thought/topic/subject area. Uses sentence structure that makes reading effortless and enjoyable. The way a sentence is put together will either help or hinder what you are trying to convey. Good writers understand the importance of proper sentence structure. They know that strong sentence structure makes writing easier for readers to comprehend/understand. Uses writing mechanics properly and effectively. “Mechanics” is a word that refers to the standard use of spelling, punctuation, and grammar. Good writers know that using well the standard conventions ensures writing that helps readers read and understand, quickly and consistently, what is being conveyed. Contains appropriate, precise, and memorable word choice/vocabulary. Good writers work hard to choose the right words to convey what they intend to say. Conscientious and caring writers understand that choosing the right word is critical to getting the intended meaning across to the reader. 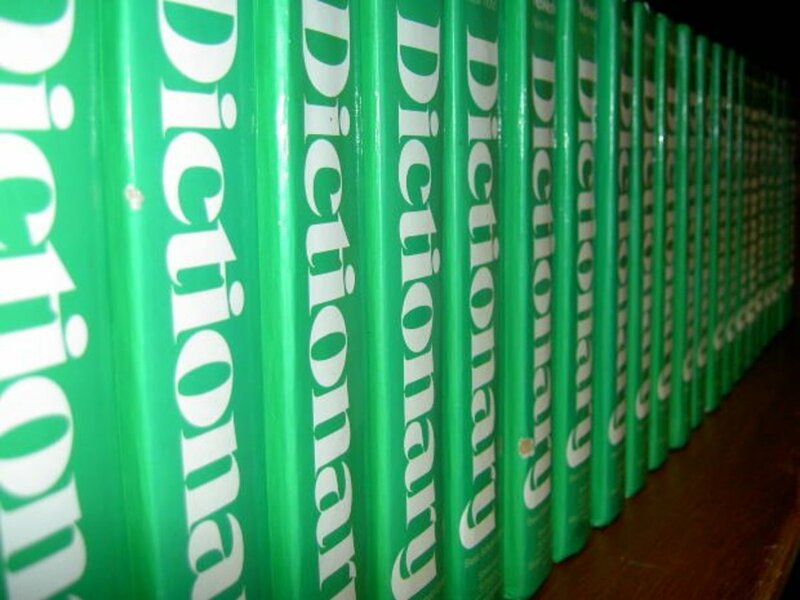 They will keep on hand a good and updated dictionary and a thesaurus so that they can check both the definition of words (the dictionary meaning or denotation), as well as the connotation (what might be implied) of words they are thinking of using. For example, a person who exhibits a great degree of confidence in their approach to doing something could be described as either assertive or aggressive. Aggressive: "Having or showing determination and energetic pursuit of your ends." Assertive: "Confident and direct in claiming one's rights or putting forward one's views." Although the dictionary definition (denotation) is similar for these two words, the terms have very different connotations. One of these words is used to describe someone who is more positive than negative, the other to describe a person who is more negative than positive. With that being said, "assertive" would describe the person positively, while “aggressive” might signal something negative about the person's approach to doing something. Word choice is important, and that's why it is important for good writers to be thoughtful in selecting the right words to convey intended meaning. Finally, good writing uses an appropriate tone/attitude that is well suited to the targeted reader and purpose. Tone, also called attitude, mood, style, cadence, and inflection, has to do with how writing feels to the reader, and how the reader responds to it. Think about how you might speak while having a conversation with your pastor after church on Sunday and how you might talk to a close friend you’ve known a long time at a backyard barbecue. Your behavior, as well as the words you might choose to use, would be different, right? Good writers work hard to maintain a consistent tone that is well suited to the interests of targeted readers, as well as for the intended purpose of what is being written. Good writers will consider how they want readers to feel as they read. Because they are interested in how the reader feels, good writers must consider how they will use tone/attitude in their writing, because they know readers will be affected by the tone/attitude that their writing conveys. In writing, tone is conveyed not just by the words you choose to use, but also by the way you put those words together. Tone, for example, can be serious and respectful, formal or casual, or light and frivolous. It conveys your attitude toward your audience and it needs to be appropriate for both your audience and your purpose. Before you begin the process of writing anything, you need to think about who you want to read what you have written, and why you want them to read it. Who is your intended reader? Try to form in your mind a mental image of your intended typical reader. Just think of one individual who represents the average reader you want to reach. What is his or her education or reading level? Why should this person want to read what you're planning to write? Not only should the words/vocabulary you use be on the same reading level as your average reader, what you write must be of interest to your intended reader. What is your reader’s expectation? What is it that they will want to get from what you are writing? 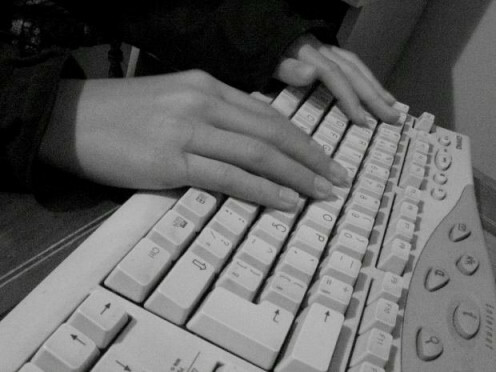 Why does this reader need what you want to write? Is your reader looking for information for self-improvement? Or, is he/she looking for something that will provide entertainment? No matter what it is you want to write, it will help attract your intended reader if you give some thought to both your intended average reader, and what is likely to be of interest to him/her. 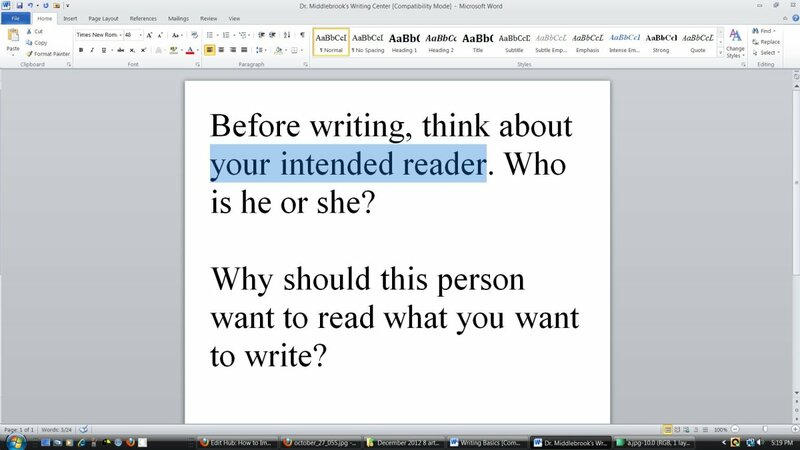 Once you know who your intended reader is, think about your purpose for writing. Why do you want to write what you're planning to write? Does your targeted reader want or need to read what you want to write? Know the why behind what you are writing. Connecting with your purpose will make it much easier for you to judge what needs to be included in what you are writing. Anything that does not help you fulfill the purpose you have defined for your writing, in some way, should not be included. For example, if your purpose is to entertain your intended reader, then what you write must begin to entertain from the very beginning, and it must keep the reader interested, involved, and entertained from beginning to end. That’s what writing does when its purpose is to entertain: It finds a way to compel readers to read from the first page to the last page. If your purpose is to report to your reader information about some topic of interest to him or her, then you must make sure that you include information in a factual way, providing credible sources. On the other hand, if you are writing instructions or explaining how to do something, then you must include, clearly, every step involved in the process of doing what it is you are teaching the reader how to do. You must also do your best to anticipate what problems the reader might encounter as he or she tries to implement the steps you are writing about. You should address any big or small problems, so that the reader will know what to do if or when he/she encounters such problems. Once you know and define your purpose for writing, as you begin to write you will be able to write “on purpose.” That means everything you write must relate in some way to your purpose. Understanding your purpose for writing will help you in every stage of the writing process, from preparing your outline (if you choose to make one) to completing your work. Your purpose will be related/connected to everything you write, from beginning to end. Create and maintain a professional environment. Dedicate, in your home, a room or at least a corner where you can think and write in peace. If you live with others, make sure they know your writing space is “off limits.” Let everyone know you are serious about your writing, and that you want and need them to be serious about it too. Write regularly. Start out writing when you can, then learn how to develop a writing schedule and stick to It. When you first start writing, you should write whenever you can. After you make writing a habit, you'll want to devote more time to it, and then you'll need to develop a plan and a schedule for writing. Why? Because it will help you to become more focused while allowing you to set and to follow through with your writing goals. Make a habit of writing things down! It has been said that a good writer/publisher can always be found with a pen, notebook and camera by their side at all times. You never know when/where the next idea or inspiration will come to you. Merely writing down an idea or concept is the beginning of the writing and creative process. You can always get back to something later, but if you don't write it down, you could forget it, and what might have been a good idea can be lost forever. Prepare to do your research. Be sure you are ready and prepared to write on the topic/subject you have chosen to write about. Whether you are writing a book of fiction or non-fiction, an article, an essay or some type of marketing communications materials, you will need to have at your disposal a depth of knowledge on whatever you plan to include in your writing. Research sounds intimidating, but it is simply a detailed study of a particular subject. It involves collecting information, data, or facts, in order to advance knowledge about a particular subject. Research is not only a writer’s best friend, it is one of the most important tools any writer can use. If you want to become a better writer, you need to understand the importance of finding out as much as you can about the topics you choose to write about. It is a learning process, and good writers prepare for writing by learning as much as they can so they will have the information they need as they write. Since you will need to know a lot about your topic or topics, it is important to choose subjects that you find interesting. It is not enough that a topic may be popular, or that a lot of people are interested in it. If you aren’t interested in it, it is going to be hard for you to spend the amount of time you need to devote to good research and writing. You don’t have to know everything there is to know about your topic, but you do need to be interested in learning as much as you can about it. There are many different ways to gather research, but the two primary ways are online and using the library. 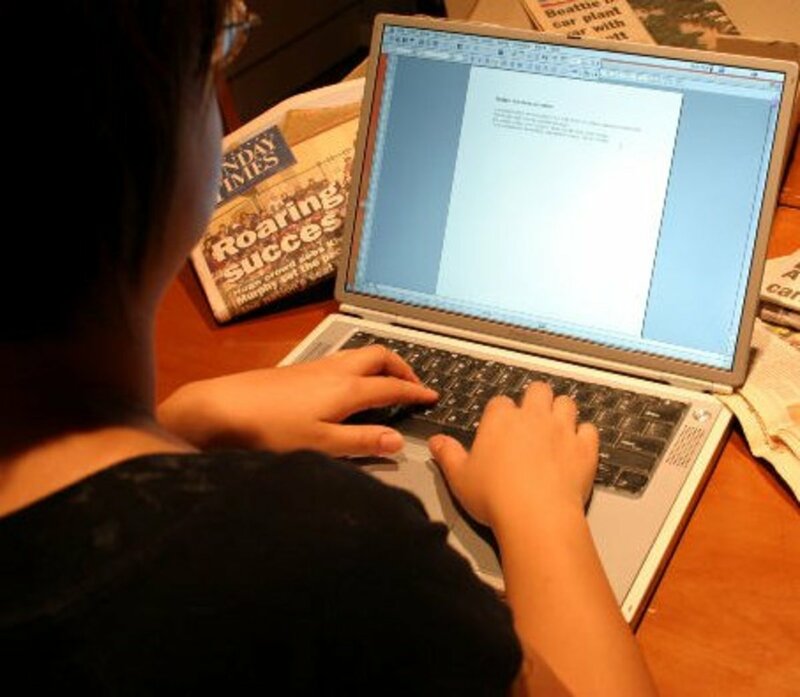 Many writers choose to do online research these days because there is a lot of information available on the Internet, and much of it can be accessed easily. Much of it is free of charge, and even sources that have a price tag attached are usually available at minimal cost. Using the public library is another research alternative. Not only will you will find tons of books filled information on your subject area, you will also find library staff eager to assist you in finding what you’re looking for. Deciding how or where you will do your research is up to you. Just be sure to do it, because your reader will be counting on you to know what you are talking about. It is a mistake to take writing for granted. And, because anything you write and post on the Internet can exist in cyberspace forever, it is a bad idea to be careless and lazy in your approach to writing and posting. 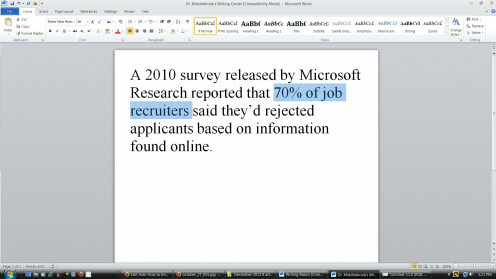 A 2010 survey released by Microsoft Research reported that 70% of job recruiters said they had rejected applicants based on information they'd found online. That’s seventy-percent. A very large percentage, this number should underscore for you the importance of paying attention to what you write, what you publish, and what you post on the Internet. If you are sure you need to improve your writing, and especially if you’re unsure about whether or not you need to, rest assured that there is something you can do to become more confident in your writing abilities. 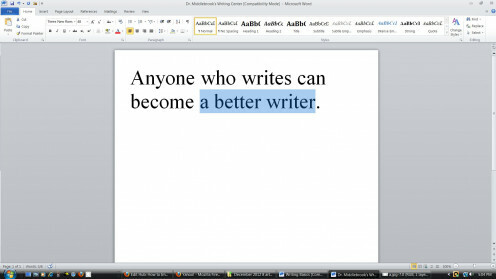 The good news is that improving your writing can lead you in the right direction if your goal is to improve your life. You might not become the next Stephen King or J. K. Rowling, but if you apply your best efforts in trying to improve your writing skills, you will become a stronger, more confident writer, and after that, the sky really is the limit for what you might be able to accomplish. Improving your writing skills will give you a lot of what you need to make positive changes in your life, as well as to make a positive difference in the lives of your readers, as you continue to pursue your writing goals. You Can Lose the Fear of Becoming a Successful Writer - Just Write ( and Few Other Things)! Thank you Jasmeetk, for the visit and the compliment. I plan to post more articles on writing this year. well written with great ideas.. love to read more from you!! Thank you so much, sunilkunnoth2012, for your visit, for reading, for your kind comments, and for the vote up. It is encouraging and inspiring to hear from readers who have gained something of value from what I've published. It will continue to be my goal to publish articles that can help or enlighten, in some way. Well presented and packed with good stuff to learn and follow. It is a wonderful job from your side and will help those who wish to write well. Keep on writing. Thank you for sharing your knowledge. Voted up. James Kerwin, thanks so much for reading and commenting. I agree, some of what I included in my "basics" can be called "cliché" in that we've heard it before. But, sometimes being reminded, once again, can challenge all, even the best writers, to improve as we consider and reconsider foundational concepts. I know it helps me to do just that. Glad you found the article to be thought provoking. Thanks again. Great Hub, very interesting ideas presented, and also somethings are kind of cliché. However it was a real thought provoker. Thanks and keep up the good work.